The daffodils are early this year. is a bright, sunny flower. They are growing along the sides of the road on the ditches and the banks, and already early daffodils are on sale in the supermarkets in this part of West Limerick. It is all about three or four weeks too early, for daffodils normally do not arrive in the supermarkets until the first week in February. It is only a few years since I enjoyed heading out to see fields of fresh daffodils near Gormanston and Julianstown in Co Meath in late March or even early April. Daffodils like to flower before the leaves grow on the trees, and this way they can get plenty of sunlight, but this is very early. They begin to flower in early spring, and usually grow in groups. On Sunday morning [13 January 2019], it seemed the banks lining the road from Castletown Church east to Pallaskenry were alive with riots of daffodils on the north side of the road, taking advantage of the little sunshine that comes with the lengthening of days and the promise of winter turning to spring. In western countries the daffodil is also associated with spring festivals such as Lent and Easter. In Germany, the wild narcissus is known as the Osterglocke or ‘Easter bell.’ In England, the daffodil is sometimes referred to as the Lenten lily. Perhaps because of its association with Lent, the daffodil became the national flower of Wales, associated with Saint David’s Day (1 March). Yet it is too early to start thinking of Lent, which arrives quite late this year. I was surprised to learn yesterday that the daffodil is a form of narcissus. In Greek mythology, Narcissus (Νάρκισσος, Nárkissos) was a hunter from Thespiae known for his beauty. He loved everything beautiful, but he was so proud that he disdained all who loved him, causing some to end their lives by suicide to prove their unrelenting devotion to his striking beauty. The word narcissus has come to be used for the daffodil, but is the flower named after the myth, or the myth after the flower? Or if there is any true connection at all? Although there is no clear evidence that the flower's name derives directly from the Greek myth, this link between the flower and the myth became firmly part of western culture. The daffodil is prized as an ornamental flower, but some people consider narcissi unlucky, because they hang their heads implying misfortune. White narcissi are especially associated with death, and have been called grave flowers. In ancient Greece, narcissi were planted near tombs, and Robert Herrick describes them as portents of death, an association that also appears in the myth of Persephone and the underworld. The daffodil or narcissus is the most loved of all Irish and English plants, and appears frequently in English literature. No flower has received more poetic description in English except the rose and the lily, with poems by writers from John Gower, Shakespeare, Milton, Wordsworth, Shelley and Keats. Frequently the poems deal with self-love because of the association of the daffodil with Narcissus, and the flower that sprang from the youth’s death. Spenser announces the coming of the ‘Daffodil in Aprill’ in his Shepheardes Calender (1579). William Wordsworth’s poem I Wandered Lonely as a Cloud (1804) provides many people with their main literary image of the flower. But Wordsworth refers to the daffodil in many. AE Housman is referring to the daffodil when he writes about ‘The Lent Lily’ in A Shropshire Lad, describing the traditional Easter death of the daffodil. Narcissi first started to appear in western art in the late middle ages, in panel paintings, particularly those depicting crucifixion, symbolising not only death but also hope in the resurrection, because they are perennial and bloom at Easter. So perhaps there is a link in these daffodils appearing on the roadside near Castletown Church that helps to prepare the link between Epiphany and Good Friday, between Christmas and Easter, between birth and death, between the Incarnation and the Resurrection. 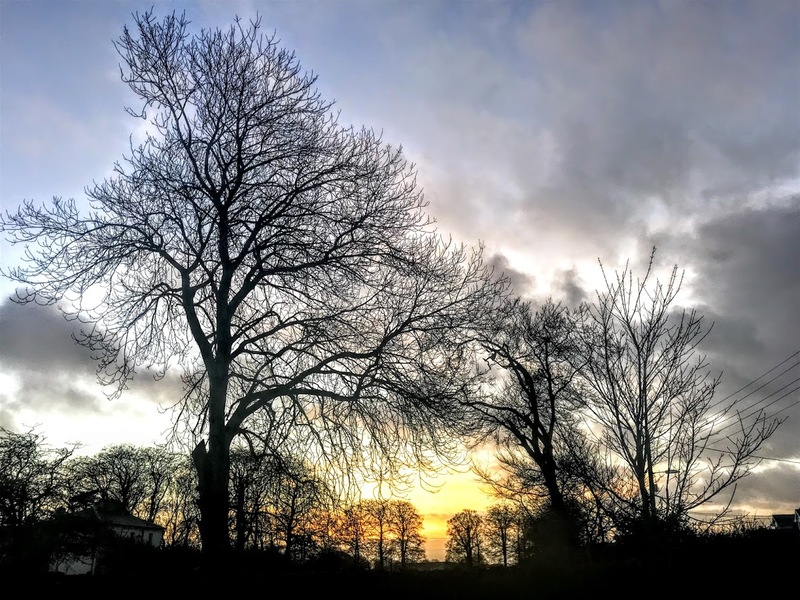 Later today, clergy, readers and some other people from the Diocese of Limerick and Killaloe are meeting in the Rectory in Askeaton, Co Limerick, for a workshop on Celtic Spirituality [14 January 2019]. Our images of Celtic spirituality are often shaped by Victorian romanticism. 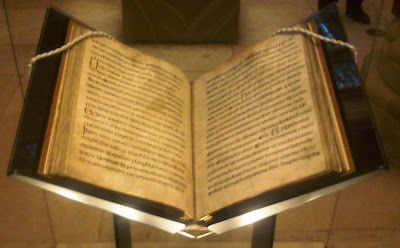 The hymn we know as Saint Patrick’s Breastplate is based on a manuscript from the late 11th century now in the Library of Trinity College Dublin. But it was only published in 1897 by John Henry Bernard (1860-1927), later Church of Ireland Archbishop of Dublin (1915-1919) and Provost of Trinity College Dublin (1919-1927). 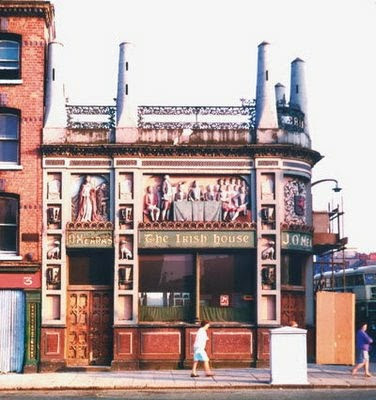 But often the vision of the nation myth-makers was of an Ireland in which anything they regarded as ‘Celtic’ was wrapped up with a narrow, exclusive concept of being green, Gaelic, Catholic, nationalist and Irish. 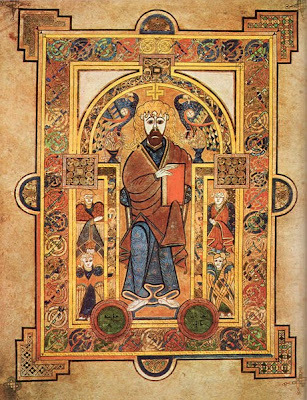 Nor was Celtic Christianity the only formative influence on the Church in Ireland as it moved from the mediaeval period towards the Reformations. The Preamble and Declaration of 1870 describe the Church of Ireland as ‘the Ancient Catholic and Apostolic Church of Ireland’ – what a title. But that ancient and catholic church is not just Celtic; it was influenced and shaped too by other cultural forces, including the Vikings, Anglo-Normans, and many others. Hopefully this will continue in the future, with the Romanians, Nigerians, Chinese, or others. It may be that the economic woes of the past decade or two have made us despise the Celtic Tiger. But Celtic Spirituality is still a fashionable commodity when you look at the shops at tourist sites Christ Church Cathedral or go shopping for small presents in an Irish airport before a flight. Much of what passes as ‘Celtic’ and as ‘Celtic Spirituality’ is tatty and second-rate. But there are compelling reasons to have a sound grasp of Celtic spirituality in the context of ministry in Ireland today. Firstly, many of the cathedrals and churches of the Church of Ireland stand on ancient Celtic monastic sites. 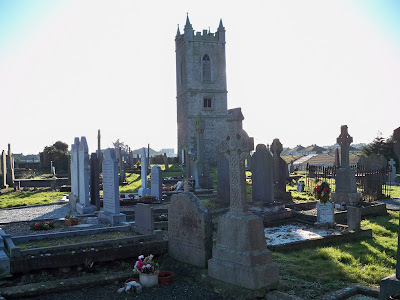 If you have ever wondered why so many Church of Ireland cathedrals – Achonry, Ardagh, Clogher, Clonfert, Elphin, Emly, Ferns, Kilfenora, Killaloe, Kilmacduagh, Kilmore, Leighlin, Raphoe, Rosscarbery – are or were in small villages or remote locations, or why it took so long to build cathedrals in Belfast, Enniskillen, or Sligo, or why still we have no cathedral in Galway, then you begin to realise the lasting influences of the Celtic monasteries. Many of these cathedrals have the tongue-twisting name of an otherwise-forgotten Celtic saint. So we should know its place and part in the story of our church. There are at least 20 hymns from the Irish language in the Church Hymnal of the Church of Ireland, and many more tunes with a Celtic air to them. Churches throughout these islands have been enriched by the prayers of the Iona Community, the hymns of John Bell, Graham Maule and the Wild Goose Worship Group, the active and engaged spirituality of the Corrymeela community, or the resources of the Northumbria Community near Lindisfarne. The global reception of hymns by John Bell and Graham Maule show how there is a fresh and a new interest in Celtic Spirituality that is not confined to Ireland. At an academic level, this interest has been stimulated by scholars such as James Mackey, Ian Bradley in the Church of Scotland, the Jesuit Diarmuid Ó Laoghaire (1915-2001), the Carmelite Peter O’Dwyer and the Redemptorist John Ó Ríordáin, and writers such as the late John O’Donohue, poet and author of Anam Cara (1997) who died 11 years ago (4 January 2008). Did they originate in southern Europe, or in what is now southern Germany and Austria? Or did they come from the Pontic-Caspian region? Strabo suggests that the Celtic heartland was in southern France. Pliny the Elder says the Celts originated in southern Portugal and Spain. But how did they reach the remote Atlantic coasts and islands of Western Europe we now know as the ‘Celtic fringe’? ‘Celt’ is a modern English word. There are few written records of ancient Celtic languages and most of the evidence for personal names and place names is found in Greek and Roman authors. The names used by Greek (Κελτοί, Γαλᾶται) and Latin writers (Galli) refer to speakers of similar languages, but not to a people. The one group of Biblical Celts are named in two New Testament letters: the Letter to the Galatians, and also I Peter (see I Peter 1: 1). Saint Jerome (AD 342-419), in his commentary on the Epistle to the Galatians, notes the language of the Anatolian Galatians at his time. Romantic antiquarian interest popularised the term ‘Celt,’ but only from the 17th century on. Because of the rise of nationalism and Celtic revivals from the 19th century on, the term ‘Celtic’ is now used to identify the languages and cultures of Ireland, Scotland, Wales, Cornwall, the Isle of Man and Brittany. But the term ‘Celtic’ also applies to Continental European regions with a Celtic heritage but no Celtic language, such as northern Iberia, and to a lesser degree France. ‘Celticity’ refers to shared cultural indicators, such as language, myths, artefacts and social organisation. But does that shared culture and family of language imply a shared ethnicity? Can we talk about a ‘Celtic Christianity’ with distinguishing, unique traditions, spirituality, liturgies and rituals that mark it out from other traditions in the Church in the neighbouring sub-Roman world? ‘Celtic Christianity’ broadly refers to early mediaeval Christian practices that developed around the Irish Sea in the fifth and sixth centuries, among many people on these islands. By extension, the term can refer to the monastic networks founded from Scotland and Ireland on Continental Europe, especially in Gaul (France). The term ‘Celtic Christianity’ is sometimes extended beyond the 7th century to describe later Christian practice in these areas. But the history of the churches on these islands diverges significantly after the 8th century, with great differences even between rival Irish traditions. It is easy to exaggerate the cohesiveness of the Celtic Christian communities. The term ‘Celtic Church’ is inappropriate to describe Christianity among Celtic-speaking peoples. Celtic-speaking areas were part of Latin or Western Christendom as a whole. But we can talk about certain traditions in Celtic-speaking lands, and the development and spread of these traditions, especially in the 6th and 7th centuries. The Roman legions were withdrawn from England in 407, Rome was sacked in 410, the legions did not return to England, and Roman influence came to an end. In the aftermath, these islands developed distinctively from the rest of Western Europe, and the Irish Sea acted as a centre from which a new culture developed among the ‘Celtic’ peoples. Ireland was never part of the Roman Empire. But Christianity came here from the former Roman outposts, and a unique Church organisation emerged, focussed on the monasteries, rather than on episcopal sees, with their own traditions and practices. 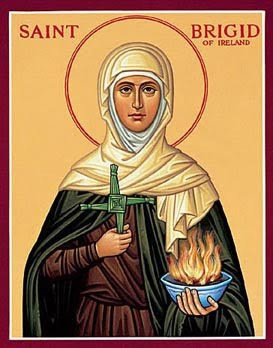 Key figures in this process included Saint Ninian, Palladius and Saint Patrick, the ‘Apostle of Ireland.’ Ireland was converted through the work of missionaries from Britain such as Patrick and others. Irish monks kept a distinct tonsure, or method of cutting their hair, to distinguish their identity as monks. The ‘Celtic’ tonsure involved cutting away the hair above one’s forehead. This differed from the prevailing custom, which was to shave the top of the head, leaving a halo of hair – in imitation of Christ’s crown of thorns. In Ireland, a distinctive form of penance developed, where confession was made privately to a priest, under the seal of secrecy, and penance was given privately and performed privately as well. Handbooks, called ‘penitentials,’ were designed as a guide for confessors and to regularise the penance given for each particular sin. In the past, penance had been a public ritual, but had fallen into disuse. But the Irish penitential practice spread throughout continental Europe, and Saint Columbanus is said to have introduced the ‘medicines of penance’ to Gaul. The Gaelic Athletic Association was formed in 1884, the Gaelic League by Douglas Hyde, a rector’s son, in 1893. Our most popular English-language version of Saint Patrick’s Breastplate, Frances Alexander’s I bind unto myself today (Irish Church Hymnal, 322) was first sung and published as late as 1889. 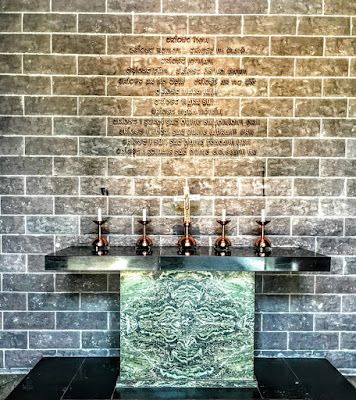 The English-language version of Be thou my vision by Mary Byrne and Eleanor Hull (Irish Church Hymnal, No 643), which refers to God as ‘my high tower,’ was only translated and versified in 1905, and was first published in a hymnal in 1915. Her father Dubtach was a pagan nobleman in Leinster, and her mother his Christian bondwoman, Brotseach, whom he sold to a Druid who lived at Faughart near Dundalk. There the child was born in the mid-fifth century (ca 451 or 453) and baptised Brid or Brigid. It is said that as a child she was taken to hear Saint Patrick preaching, and as she listened to him she fell into an ecstasy. He was born in Co Donegal in 520 into a wealthy royal family and was given the name Colum (‘the dove’). He became a priest at a monastery founded by Saint Finian and spent many years in his home region establishing hundreds of churches and monasteries. When Columba still refused to give back his copy, a clan war broke out between the king’s followers and Columba’s supporters. Many people were killed in the fighting, and a shamed Columba accepted ‘white martyrdom’ – exiling himself from his homeland as a penance. In 563, at the age of 42, Columba and 12 companion monks sailed in a currach to Iona, where they settled and founded a monastery. Glendalough, Co Wicklow: Glendalough in the Wicklow Mountains, 25 miles from Dublin, is the best preserved ‘monastic city’ in Ireland, with its round tower, seven churches and visitor centre, which tells the story of Saint Kevin. Whithorn: Saint Ninian founded the first large Christian community here in the fifth century. Lindisfarne, Northumberland: Lindisfarne has sometimes been described as the ‘cradle of English Christianity.’ Alcuin, adviser to the Emperor Charlemagne, described Lindisfarne as ‘the holiest place in England.’ From Lindisfarne, Saint Aidan and Saint Cuthbert spread the Christian faith north and south. 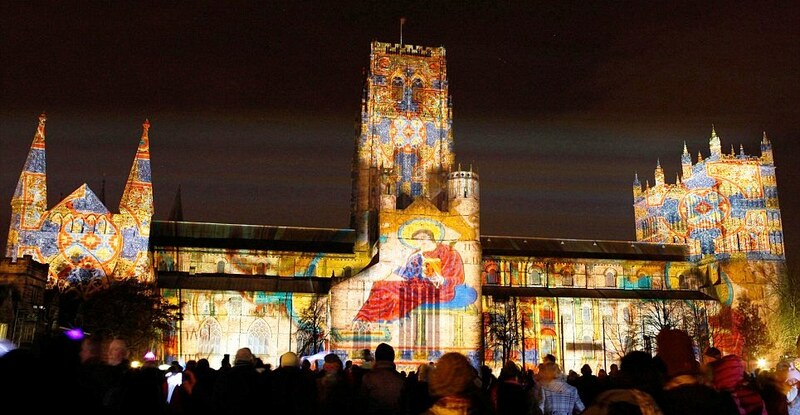 Saint Chad [2 March 2016] is described on the Lichfield Cathedral website as an Irish-born saint. Certainly, he seems to have been trained in an Irish monastery. 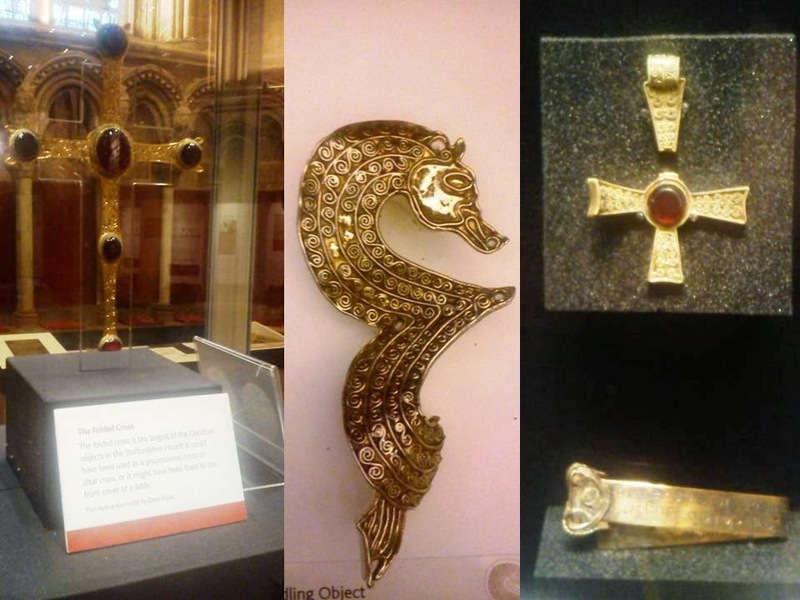 Over the last few years, Lichfield Cathedral has hosted a number of exhibitions of recent finds in a large Anglo-Saxon horde in fields near Lichfield. Their discovery points to an interesting interaction between the Saxons of Mercia and the Celtic church in Northumbria and perhaps even Ireland before the arrival of Saint Chad. 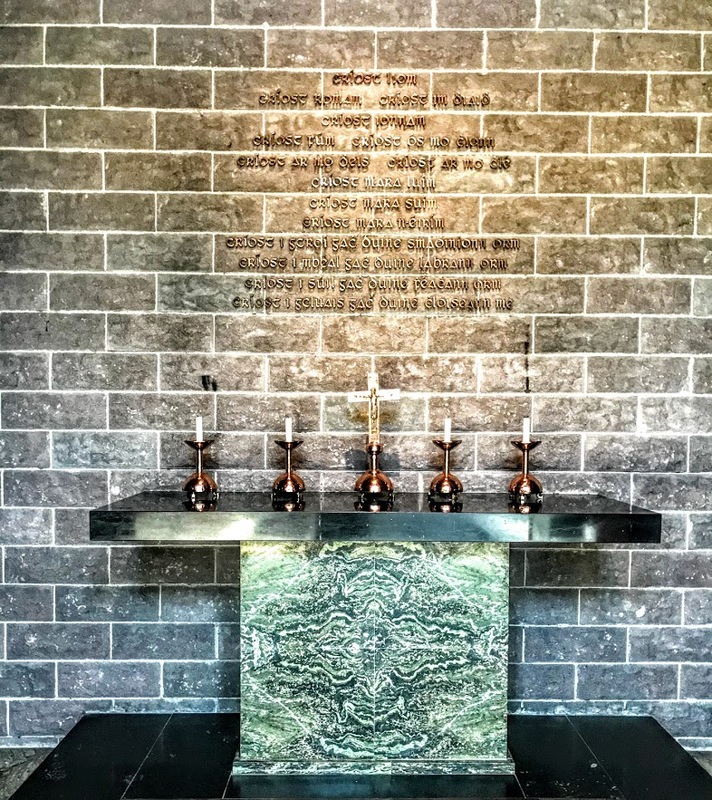 This posting includes material used in the Spirituality modules in Pastoral Formation with MTh students in the Church of Ireland Theological Institute.